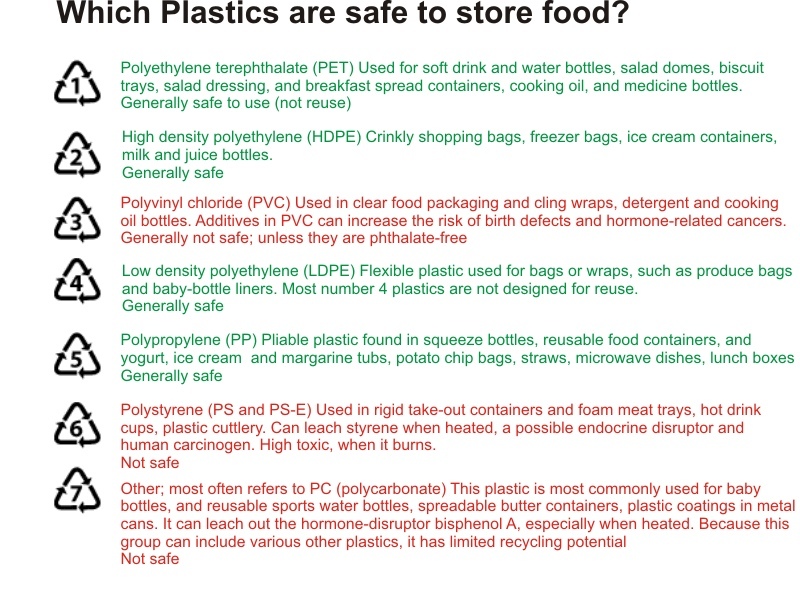 Are plastic containers safe to store food? On the bottom of plastic containers, you’ll see a number inside a triangle. It’s a code developed by the plastics industry to make sorting plastics easier for recycling centers; it also indicates what type of plastic the container is made of. Microwaving: Do use microwave-safe glass or ceramic. Don’t use any plastic, including plastic wrap and Styrofoam. Cover foods with paper, not plastic. Refrigerator Storage: Do use glass, ceramic, stainless steel, or PVC-free plastic wrap. Don’t use plastic containers. Lunches: Do use foil or waxed or butcher paper to wrap sandwiches and snacks. If you prefer the convenience of bags, look for ones made from number 4 plastic. Water: Do use glass or stainless steel or bottles made from number 2 or 5 plastic. Don’t use any drink bottles made from number 7 plastic. Freezing: Do use foil, freezer paper, or number 4 plastic freezer bags. Don’t use any glass or plastic not labeled FREEZER SAFE-extreme cold can cause both to crack. Don’t put hot food in plastic bags or containers-let it cool first. Pantry Storage: Do use glass, stainless steel, or number 5 plastic. 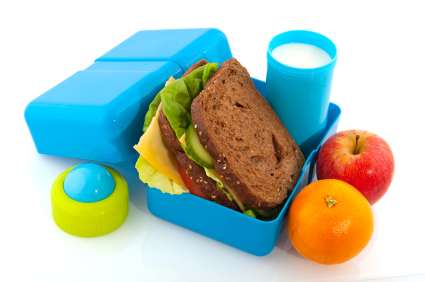 Don’t store food in any plastic container made from number 3,6, or 7 plastic. Cheese: Try to buy cheese off the block instead of pre-packed. If you can’t, remove the plastic as soon as you get home. Fruits & Vegetables: Avoid pre-packed fruits and vegetables. 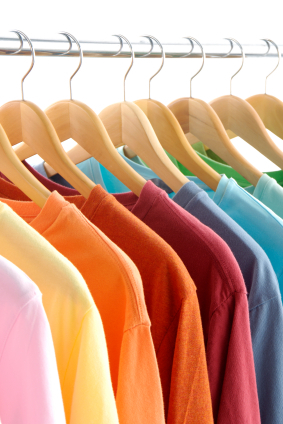 Buy loose whenever possible. Cans: Try to cut down your use of foods packed in plastic-lined cans. Personal Note: ” You might want to check your plastic containers and sort out the unhealthy ones! After the Christchurch Earthquake a part of Henry’s homework was to fill out the printed Household Emergency Plan, downloaded from the New Zealand Ministry of Civil Defence website: www.getthru.govt.nz . It includes some very interesting and important questions. The first question was: “If we can’t get home or contact each other we will meet or leave a message at: ….” Have you ever thought about where to meet your family members, if you survive a natural disaster? We had never thought or talked about is before! This point gave us a long discussion at the dinner table and finally we all agreed to meet at Henry’s Primary School, which is close to our house and also functions as an Emergency Centre. We decided that the person responsible for collecting the children and checking the survival items would be me (Mum). To find out the Radio frequencies and stations we had to visit the Civil Defence website again, which links to each website of the most popular Radio Stations in New Zealand. After we filled in the information, the plan goes on with recommendations, what to do in an emergency situation. It was really good to talk through the scenario in detail (what would we do first?….) with the whole family, so that each member has an idea and can stay cool in a housefire, earthquake or Tsunami warning situation. Point 7 of the list asks for names, address and phone numbers of your closest neighbours. To be honest, I didn’t even know all names or phone numbers of my three closest neighbours. So I had to do a bit of research to do on this part, too. And finally this action plan has a space at the bottom, where you can draw a rough sketch of your home and mark the best shelter places in case of an earthquake, the possible exits and where to turn off the water, electricity and gas supply. I had a real house plan handy, that I reduced in size to A4 and I let Henry mark the important spots in different colours (and add a legend). This house plan makes the first page in our Emergency file (Getaway Kit), that I prepared earlier and described in Part 1 of this Blog. 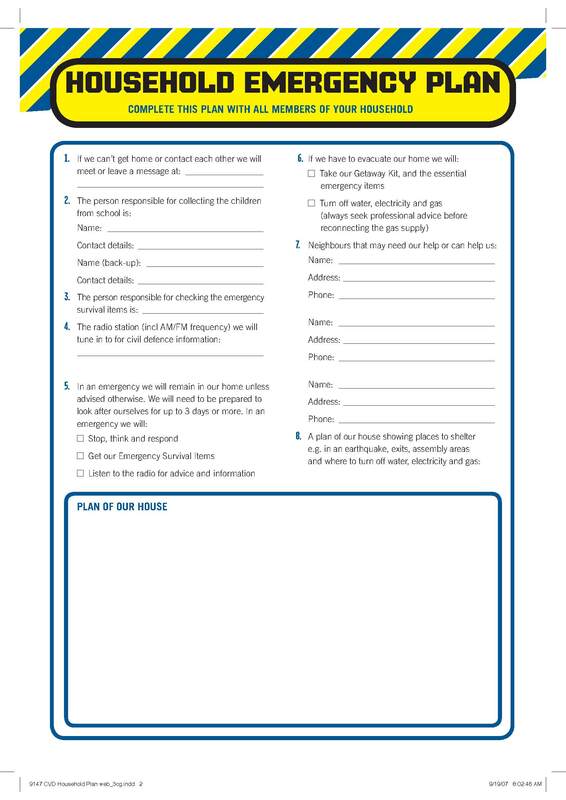 The completed form “Household Emergency Plan” comes second and the Emergency Checklist with the list of survival items comes third in our file. 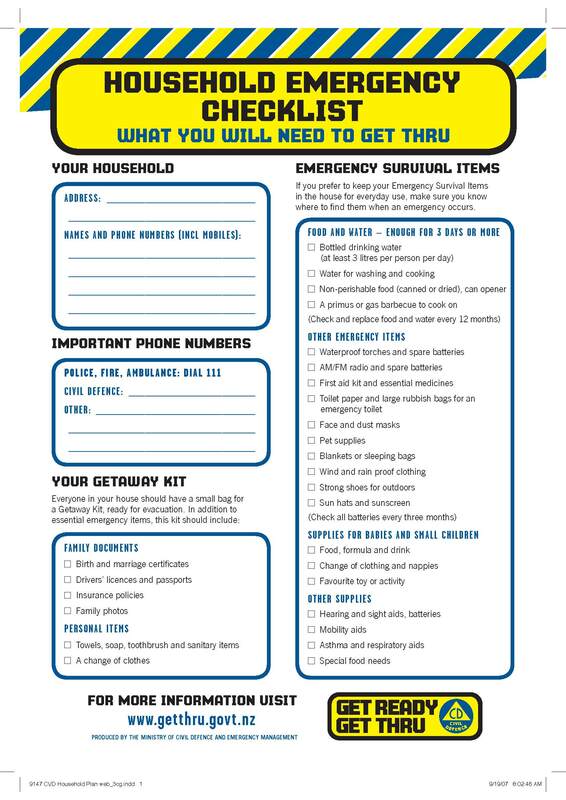 When I looked at the list of Emergency Survival items recommended by the NZ Ministry of Civil Defence, which is downloadable and printable from their website www.getthru.govt.nz I quickly realized, that we were definitely not prepared for a Natural Disaster! I knew I had some of the items somewhere in my house, our First Aid Kit was a far cry from being complete, all torches I could find, had missing batteries or were taken apart by my son (in an attempt to become a scientist one day) and other supplies on the list I just didn’t have. First of all I had to decide where to store all Survival items, so that in an Emergency we all know what is there and where they are. 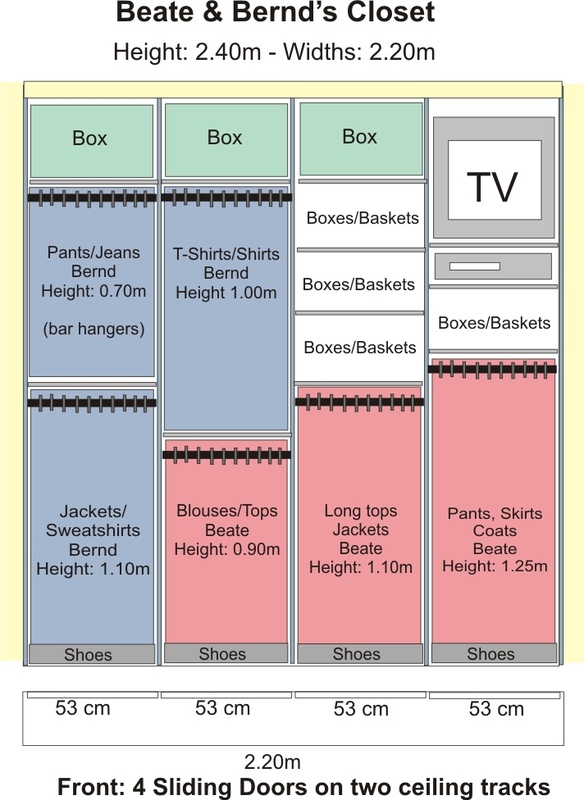 I choose the laundry, because I could easily reorganise it to free some space and it is located right next to our entrance door. Starting to work through the list of survival items, I got stuck at the very first point. The Ministry recommends storing 3 liters of bottled drinking water per person per day. It sounded like a lot to me, but the Earthquake in Christchurch on 4th September showed, that many areas of the city were cut off the water supply for several days, in other areas they were only allowed to use the water after boiling it for three minutes (another problem if your power is cut off). With the earthquake in mind I bought three 10 liter containers of drinking water in the supermarket and marked the used by date (approx. 1 year) with a permanent marker on the front. Before that date, I will buy new containers and use these ones for drinking. Next on the list was water for washing and cooking and that reminded me of the huge plastic tank I bought two years ago for my garden and it is sitting there (un-used) ever since. Plan was to connect it to the rainwater pipe from the garage roof and use the water for gardening. A good task for my plumber husband’s to-do list! Non-perishable food (canned or dried) and a can opener (made sense) was next on the list. Henry and me had a fun day at the supermarket, walking through the aisles to decide what was practical and what was storable for a while, not too heavy to transport and easy to prepare. We went for some bags of nuts, muesli bars, soup packets, crackers, a packet of homogenized milk, coffee powder (for the addiction) and some other foods. I still think it is a good idea, even if you can stay in your house in case of an emergency, but are not able to buy anything (no power, no eftpos, no credit cards, all shops closed). Again you have to check the used-by dates and maybe replace the food once in a while. The next suggestion on the list was a gas cooker, what also made sense in case of having no power or gas supplies to cook anything (not even be able to boil the water). I researched on the internet and found a variety of small, easy to carry gas cookers (mainly for outdoors and camping). I ordered one with 6 small gas canisters. Also on the internet I found face masks with ear loops (N95 made by M3) which can be used for Bird Flu, pandemic outbreaks and protects against airborne particles. I bought a radio, which works with batteries, power and a dynamo technique. You turn a hand crank for about five minutes to charge an internal battery. This radio can be used as a torch, a clock and an emergency alarm at the same time. Two smaller dynamo torches, spare batteries, toilet paper and large rubbish bags (as emergency toilet), three cheap plastic rain coats, some silver foil rescue blankets also went into my shopping cart. Our list included plastic goggles (to protect against volcanic ashes), a whistle (to alert for help), notebook and pen (to make notes from radio messages), matches and candles (in case of power failure), a compass, plastic sheets and duct tape (to make shelter), a box of rubber gloves and some pairs of leather work gloves (if you have to dig for survivors), water purification drops (to prepare drinking water) and the little hand trolley in the garage, which would be very handy in case we have to leave the house and take these things with us. We would also take our Getaway Kit (bag with documents I explained in my former Blog – Part 1), a small bag with soap, tooth brushes and sanitary items. And then there was my First Aid Kit, which was in desperate need of an up-grade, since Henry’s last stunts on the skateboard ramp. I organized new antiseptic liquid and cream, a variety of plasters, tape, a better pair of scissors and tweezers and some packets of pain-killers suitable for adults and kids. It was a big task to work through the list, to do a lot of research and I even had to spend some money. But I was happy to get it all organized (just in case…) and Henry was happy with the progress of his homework assignment. 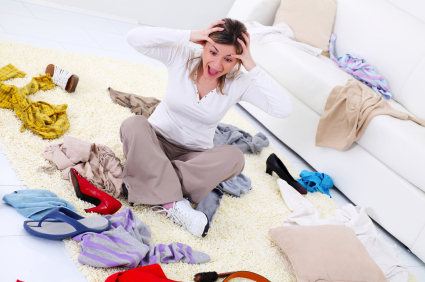 My next Blog and Part 3 of the Emergency Survival Tips will include the Household Emergency Plan. When we started to fill out the printed Checklist, first we entered our address, home phone and all our mobile numbers, then other important phone numbers besides 111, like our local council and Insurance Companies. But what worried me most was the “Getaway Kit”. The Ministry of Civil Defence recommends that every household should have a small bag with important documents for a Getaway Kit, ready for evacuation. This homework task showed me that even in case of a house fire, I wouldn’t be able to rescue our most important documents, because they were all in different places, files, drawers, boxes and cupboards. And that was going to change! It took me several days to organise everything, but finally I have one bag (a spare Laptop bag) which includes a well organised file with all our passports, Birth Certificates, Photos of all family members, an address and telephone list of the extended family and friends here in New Zealand and overseas, the originals of all Insurance Policies (I made copies for the office files like car, house, life, content etc. ), ownership documents and plans of our house, info and numbers of all bank accounts, IRD numbers, our last financial Statement, ownership documents of our cars, Health Certificates with blood types and Vaccinations, International Drivers Licenses, a Will and other important and hard to get again papers. The first page of the file shows a plan of our house and where to turn off the Gas, Water and Power supplies in an Emergency. Thinking about a house fire or a natural disaster, it was hard to decide, what else I would really like to keep, if I could only take this one bag. I made my decision and I placed in the bag some pieces of jewellery, some small, very personal items, a few photos of my grandparents and my parents, the external hard drive (or USB stick) where I save all computer files on a regular base (since my computer crashed a few years ago and I lost everything) and some money. The Christchurch Earthquake showed that most shops couldn’t use eftpos or credit cards for several days. So, good old cash was very important to get food or petrol. My bag also includes a notebook and pens, a small camera and that’s it. In case of survival that bag would make my life so much easier afterwards. Everybody in my family knows which bag it is and where it is placed. In case of a house fire or Emergency one of us can just grab it on our way out! And that’s a very good feeling (just in case…). So much for now. In my next blog I will comment on the other Civil Defence recommended Emergency Survival Items and a small list of things, that we added to it.